Top female karter Rianna O’Meara-Hunt takes one of the biggest steps in her fast-rising career this weekend, making her Senior debut in Australia at the final round of this year’s Rotax Pro Tour series. 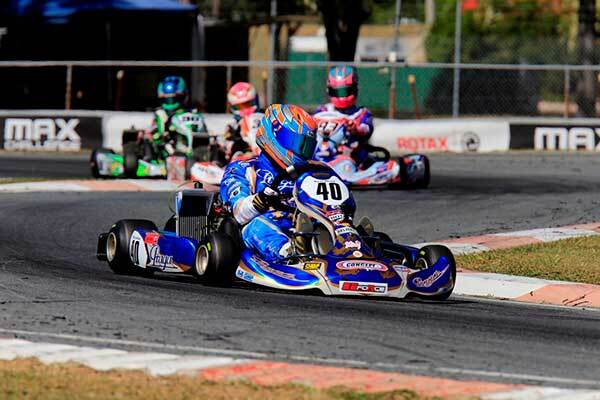 At previous rounds of this year’s Pro Tour, O’Meara-Hunt – from Wellington – has competed in the Rotax Junior class, making history at the second round in South Australia in March when she won the Junior Final race outright. The way the age group rules work in Australia, however, meant she could not complete the Pro Tour series in the Junior class once she turned 16 so – having just done so – she will join compatriots Madeline and Ashleigh Stewart and Palmerston North pair Josh Hart and Jacob Cranston in the Rotax Light class at the Albury/Wodonga Kart Club’s track at Wodonga on the Victoria side of the Victoria/New South Wales border this weekend. “It is definitely jumping straight off the deep end but in saying that we are entering the meeting with no expectations, just a real eagerness to race hard and fair and gain valuable experience for next year,” O’Meara-Hunt said this week. 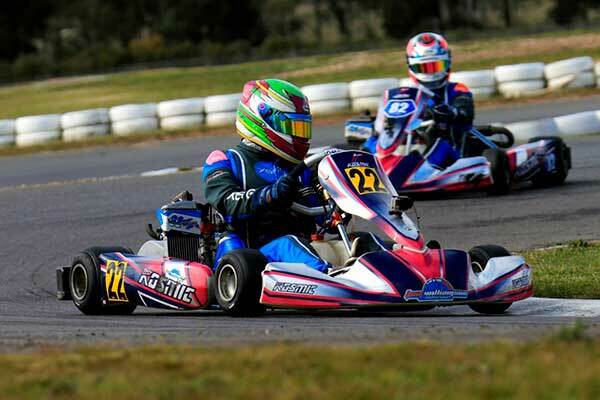 The 16-year-old will be one of eight Kiwis competing at the season-finale meeting at Wodonga, one appropriately dedicated to the memory of one of their most successful forebears, former New Zealand kart and touring car champion, and V8 Supercar ace Jason Richards. Richards died of cancer in 2011 and for the past five years a round of the Rotax Pro Tour has been run in his honour. 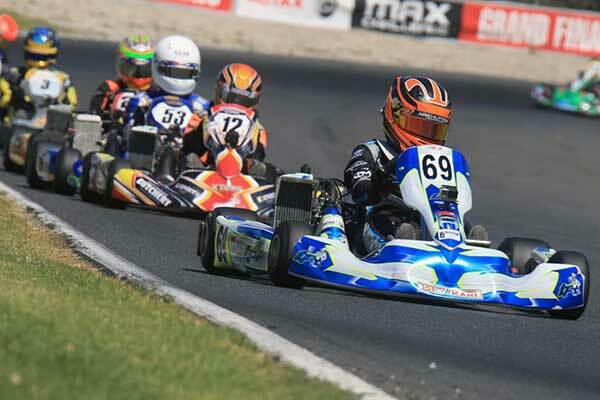 Of the Kiwis competing this weekend, the best placed is young Wellington driver Ryan Wood, who is third in Junior Max. Sam Wright from Auckland is seventh, and Jackson Rooney from Palmerston North is 22nd. Madeline Stewart, who shared history-making status with O’Meara-Hunt when she too claimed a class victory at the second round, is next best placed Kiwi heading into the weekend’s final Pro Tour round with fifth spot in Rotax Light. Sister Ashleigh is 14th overall and veteran Kiwi Josh Hart is 24th having only done one other round. They will be joined in this class this weekend by O’Meara-Hunt making her Senior class debut, and Jacob Cranston from Palmerston North making his 2017 Pro Tour debut. By contesting both the Rotax Pro Tour and Australian Kart Championship series this year the Stewart sisters have been the busiest of the Kiwis, and as their father Tony said this week; It’s definitely been pretty full on lately with us being on track 7 of the past 8 weekends. “That said, Wodonga is great to drive and presents a good mix of high speed and technical areas. There are a number of good passing opportunities so we should see some good racing. We are pretty happy with where we ended up in practice there last weekend and we are hoping for better weather than the past two rounds although at the moment it’s 50/50 for Friday and Saturday. The other Kiwi on the grid this weekend will be expat Josh Drysdale, who now lives and works in Sydney. He is currently sixth in the DD2 class points standings.